Aileen White is running for cats! Mackie- August's cat of the month has been adopted! As a charity, the work we do is dependent on your generous and continuous support. Learn more about our work. We are very grateful for the scale of support we receive; it is comforting to know that so many of you are concerned and passionate about cat welfare. However there is always more work to do. If you would like to support us- please read below for ways to do so. Running an adoption centre is an expensive business. Each cat that comes into our care costs on average £180, and the figure is often much higher than this. We charge £60 for every adoption, but this obviously does not cover the expenses of caring for the cats in our care. All donations are gratefully welcome. To make a cheque donation please address all cheques to Cats Protection Glasgow Adoption Centre. To make a cash donation please do so at the centre. You can also choose to donate to us on a more regular basis via direct debit by becoming a member. The process is safe, simple and quick. With up to 220 cats at one time, we go through a lot of food, toys and bedding. All physical donations are welcome. If you would like to make a physical donation to our centre, please call us on 0141 779 3341 or email us at Glasgow@cats.org.uk. We can let you know the best way to do this, and the one that is easiest for you. We have set up an Amazon wish list of items the cats need and would love. There are plenty of items to choose from, and we have tried to include a range of prices. All purchases are very much appreciated by us and the cats that will be able to enjoy them. “What will happen to my cat after I am gone” is a common concern of many cat owners today. By signing up to our Guardian Scheme we can prioritise your cat on our waiting list, helping to bring them into our care should it be needed, as fast as possible. Our aim is to find the cats in our care a perfect home as quickly as possible. Therefore rather than sponsoring an individual animal, you can sponsor one of our pens instead. 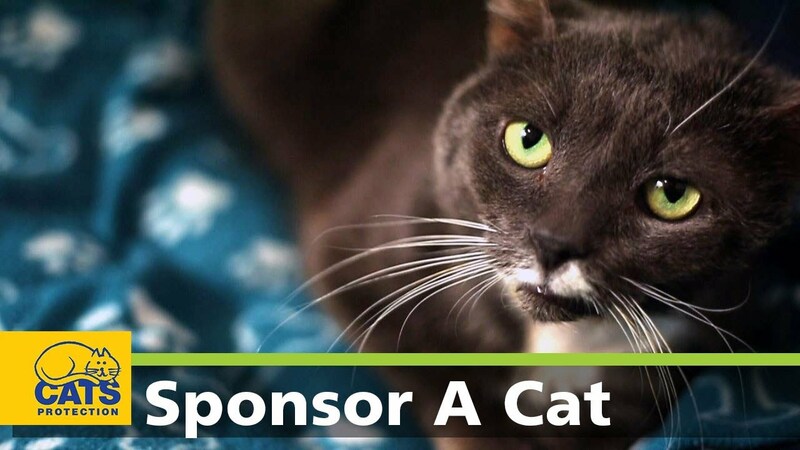 Sponsorships can be as little as 19p per day- and the funds help us achieve our goal of rehoming every cat with the right owner as quickly as possible. The cats protection lottery costs just £1 a week, and you will have 200 chances to win a weekly prize draw of between £50 and £1000! There is also a quarterly super draw raffle you will automatically be entered into- with a jackpot of £10000! 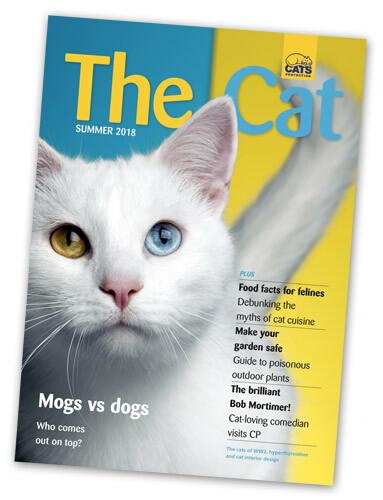 "The cat" is the official publication for Cats Protection, and subscription is just £15 a year. Each issue is packed with a variety of feline news, views and features. All subscriptions to the magazine help care for, rehome and neuter cats in the UK- while also helping to inform the public on feline issues.